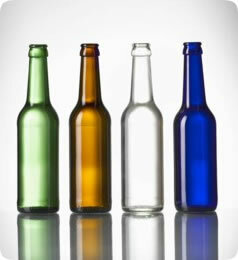 Glass bottles and jars for foodstuffs, beverages, pharmaceuticals and cosmetics. Aluminium and plastic screw caps, twist off lids as well as swing top closures and glass pipettes. Plastic bottles and jars for hygienic and cosmetics, foodstuffs and pharmaceuticals. Also PET products. Drinking glasses for wines, beers and spirits. Decoration also available. For your demanding needs we offer printing, decoration, sleeving or own mould.